4 Animals offers professional therapeutic massage services to dogs and cats for their optimum well-being. Focused on preventative care, animal massage is an integral part of a holistic approach to health care promotion & rehabilitation for our animal companions. Animal Massage services are offered in Montreal (Quebec, Canada) and the surrounding area. Design and teach workshops on Animal Acupressure for animal guardians and bodyworkers. Classes are conducted worldwide. Write and produce books on acupressure for horses, dogs and cats as well as meridian charts for the same. Massage - Homeostatic Touch - Energy Work - Communication - for Companion Animals and the People who love them. Insured. Please call or write for an appointment for your beloved companion. Massage: We offer Hands-On Workshops for animal professionals, massage therapists and pet owners in Swedish Massage, Positional Release, NMR & Homeostatic Touch. Certifications available as well as specialized classes and individual instruction. Communication: You can communicate with your animal companion. Let us show you how in private session. Welcome to my site! I thank you and your pet thanks you! Do you have a pet who has a challenge? Maybe some problem that the vets say there isn't anything wrong with him--but you know there is? Sometimes pets develop problems due to emotional stress. Sometimes they take on their person's stress. I specialize specifically with pets, ailments, injuries. What I do is utilize my animal communication ability to have the pet tell me why the disfunction is there and everything that surrounds the reason you brought your animal to me. This may include the owner’s mental and physical state, and/or that of other household members. Once we get a clear picture of the problem, we then work through the mental root cause of the ailment and ask the pet if s/he can let go of it now. Once I get agreement from the pet that it will be okay to let go of the challenge, I then utilize my visualization skills to dislodge the disharmony and bring the animal back to health again. Generally, the chat changes things for the person also, and everyone is finally on the road to recovery. Animal Massage: Equine and Canine Body Worker certification courses. 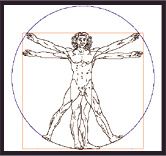 Now offering online courses in nutrition and nutrition soon to be followed by online anatomy, dentistry and first aid. Journey To The Animals offers Animal Communication and Animal Healing (LONG DISTANCE HEALING). I communicate with your animal telepathically about anything, both during individual consultations and throughout my healing work. During communications, you, I, and your animal discuss problems, issues, needs, what is important to you and your animal, and find solutions. Should healing be an option, I offer shamanic healing, soul retrieval, reiki, energy work, and animal counseling. Soul retrieval returns soul parts that left an animal due to trauma, stress, shock, or illness. As part of its process, soul retrieval involves determining what your animal needs for healing (the answer may not be a retrieval), removing “intrusions” (non-self energies that filled the voids left by departing soul pieces), and counseling, which helps your animal integrate the returned soul pieces and change the belief/attitude complex that created soul loss in the first place. Counseling also provides support for you and your animal friend. In addition, ritual work helps clear “old stuff” of the past, releases charged emotions, and celebrates the new change. Other elements of shamanic healing may also include power animal retrieval, “soul theft” recovery, energy work and other healing techniques guided by spiritual helpers, and psychopomp work (assisting and comforting an animal who has or is transitioning to the “other side”). Soul Friends, Inc is a nonprofit established to provide innovative clinical and educational programs that promote the healing benefits of the human-animal bond. Soul Friends provides individual and group psychotherapy which incorporates the healing presence of therapy animals. To do the healing work that is needed, I call upon your Angels. This energy is channeled through me to you. Any injuries, illnesses, or blockages can be reversed. There is no time and space in Spirit, so long distance healing works just as well. 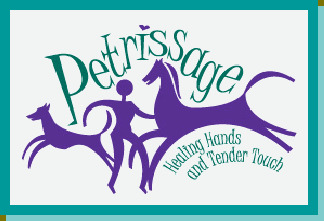 Nicole, owner of Petrissage is a very talented Equine and Canine body worker. She specializes in Equine & Canine Therapeutic & Sports Massage, Myofascial Release, Acupressure, Jin Shin, Aromatherapy, & Flower Essences & Animal Communication. Nicole has been a guest speaker at MSU Veterinary Medicine School and several local clubs. 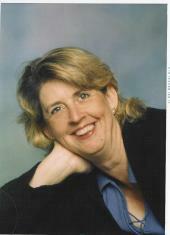 She is also a Reiki Master and is available for clinics covering treating people and animals with Reiki. More classes including animal massage, aromatherapy and flower essences will be available soon! 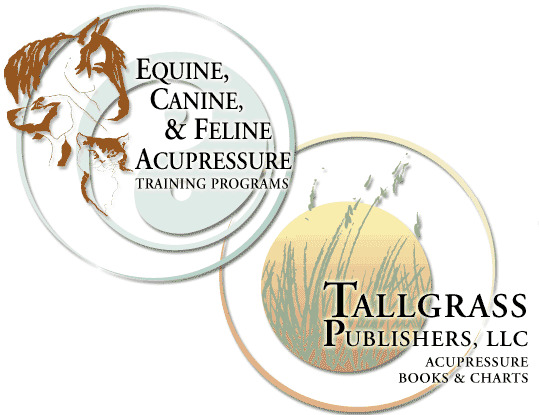 Equine and Canine Massage and Acupressure Certification Programs. 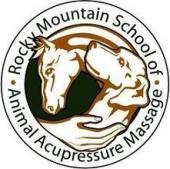 Rocky Mountain School of Animal Acupressure and Massage is Licensed and Regulated by the Colorado Department of Education, Division of Private Occupational Schools. We offer large and small animal on-site programs as well as Tele-Classes and Correspondence Programs. The Washington Animal Massage Association is a networking group for therapists working with animals, individuals pursuing a career in animal massage, or those simply interested in animal massage. The group meets quarterly for continuing education opportunities and to exchange information regarding the animal massage industry. Our members are involved in public education events including booths, demonstrations and media events. W.A.M.A. provides referral services for its members. Members may receive Continuing Education credits for attending. 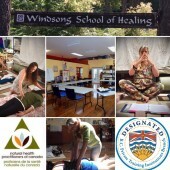 Windsong College of Healing Arts offers Intensive and full-time training in a variety of different therapies for Relaxation, Rejuvenation, and Restoring Health and Vitality. Study online and onsite combined one therapy at a time to complete Modules recognized for certification by Professional Associations or Study our Full Diploma Intensive in 11 months or regular Full Time in 2 years. Oriental Bodywork, Shiatsu, Energy Medicine, and Reflex studies in Iridology, Auriculotherapy, and Reflexology create a platform for a wide variety of therapies offered to clients. Classes are small with the intention of personal learning. Follow your heart's path to Windsong. Card recovery free software is developed for regaining entire power failure data and music files from Memory Stick devices.